“Chinese companies and investors are stepping up their purchases of industrial commodities such as copper, in a show of confidence in the global economy that stands in contrast to the turmoil in western markets. The wave of buying is providing support for metals and minerals prices after commodities prices fell this month at worries about a double-dip. Senior executives at trading houses, mining companies and banks said Chinese consumers had used the recent drop in prices to rebuild stocks. The global copper trade is transparent because of the unknown size of stocks at various points in the process, as indicated below. Especially the size of ‘bonded warehouse stocks’, which are often controlled by governments, can only be estimated. 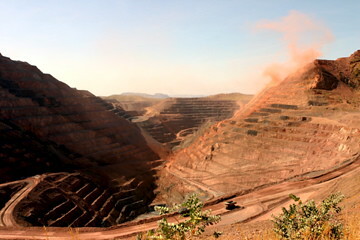 Traders estimate the size of the government controlled bonded warehouse stocks to have halved over the past months, leading to a high demand for copper as stock have to be rebuilt. The copper trading chain shows the effect of the bull whip syndrome: small changes at the end of the chain result in large impact at the start because each player tries to anticipate the next moves. Copper price decreased as consumers were reducing stocks, trying to avoid buying on the top of the market. At the same time players all along the chain try to reduce stocks and inventory to minimize working capital. As soon as shortage of stocks forces consumers to start buying, prices shoot up because of a lack of reserves along the chain. The Chinese State Reserve Bureau (SRB) holds large stocks in bonded warehouses, but it is unknown how large these stocks really are. The SRB can use these stocks to influence global prices and at the same time the metal stocks are used as a means to reduce holdings of foreign currencies by buying physical stocks. Overall the controlled stocks should be expected to reduce spikes in demand and supply, as a relatively stable copper price is important for China’s manufacturing industry.